This product is outstanding for frequent washing and giving fresh lightness and vitality to greasy hair, which tends to get dirty easily and becomes weighed down and dull. It combines the absorbent and normalizing properties of Clay with the refreshing capacity of Grapefruit extract, for a long-lasting feeling of cleanliness and freshness. Your hair will thus stay more vibrant and silky for longer... as if it has just been washed. 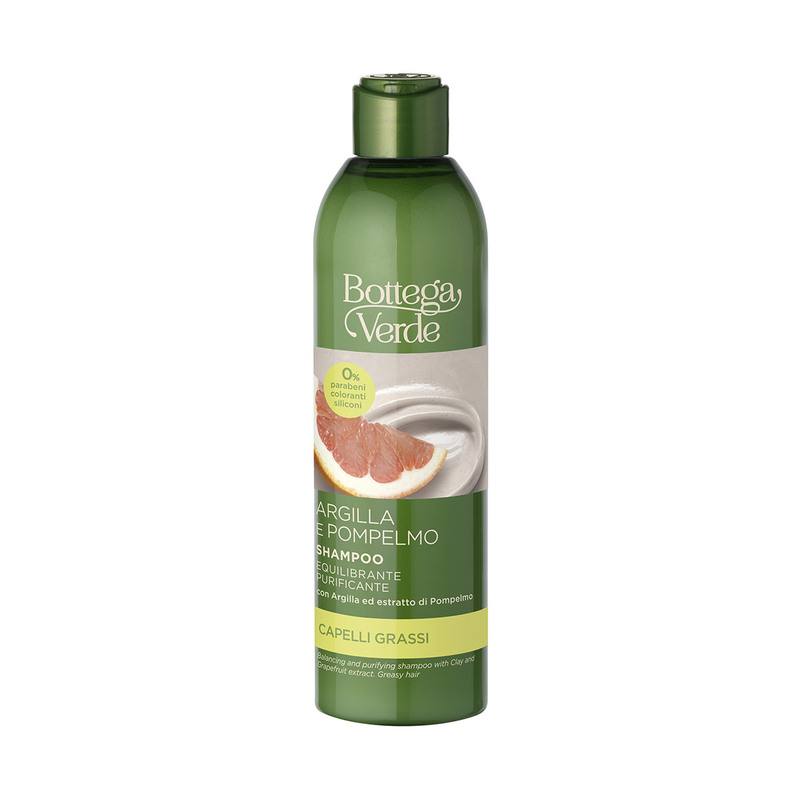 This product is outstanding for frequent washing and giving fresh lightness and vitality to greasy hair. It combines the absorbent and normalizing properties of Clay with the refreshing capacity of Grapefruit extract. Enjoy long-lasting silkiness for your hair... as if it has just been washed. Characteristic:Choose it if you want a product that contains no parabens, formaldehyde releasers, silicones or colourings.